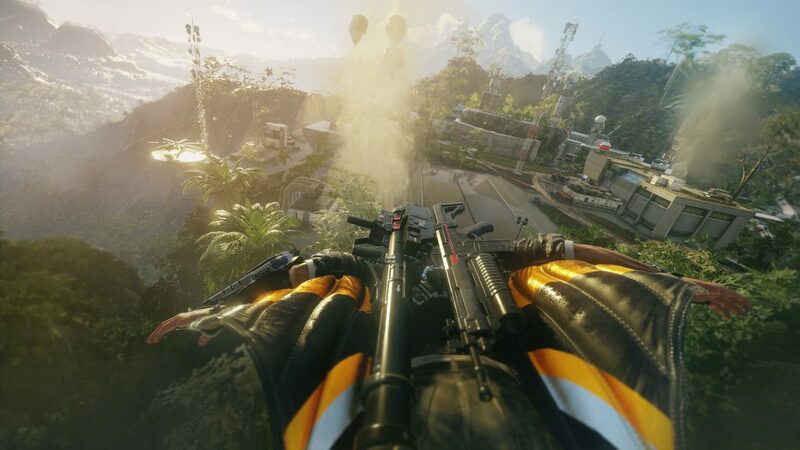 The wingsuit is one of the main tools you’ll use in Just Cause 4. It allows you to glide through the air at great speeds and perform all kinds of stunts, and you’ll probably spend a whole lot of time using it. It can even be upgraded, but a lot of players are confused when it comes to how exactly this is done. If you get stuck while trying to enhance your super suit, this guide will help you get unstuck by showing you how to upgrade wingsuit in Just Cause 4. Basically, all you need to do is find and complete wingsuit stunts. This will give you the option to enhance your toy. If you’ve played the previous game, you’re probably familiar with the idea. However, even those who know about the stunts are having trouble finding them. This time around, they’re framed as missions. In order to start one, you’ll have to talk to Garland and accept his quests. There’s one in almost every settlement, so just head to an area where people live and you should be good to go. If you start a particular side of the map and go in a certain direction, you can easily make sure you haven’t missed any. The upgrades apply to all the different wingsuits you can have, including the fancy weaponized wingsuit that comes with the gold and deluxe editions of the game. The upgrades will make your life easier, although you may not enjoy all of them. On the other hand, completing the stunts will raise your completion percentage, which is always a good thing. The stunts will also give you a better understanding of how to operate the wingsuit, which will make you a more efficient vessel of chaos.